Earlier today, the Supreme Court of the United States held the oral argument for Husted v. A. Philip Randolph Institute. This case concerns the maintenance of states’ voter rolls under the National Voter Registration Act (NVRA) and the Help America Vote Act (HAVA). Originating in Ohio, the primary issue of the case concerns whether a state can use a voter’s inactivity to purge that voter from the state’s rolls. The state of Ohio maintained that these federal statutes supported its procedure, known as the Ohio Supplemental Process; the A. Philip Randolph Institute argued that the Supplemental Process violates the NVRA & HAVA. Advancement Project filed an amicus brief in this case that focused on how Ohio’s past racially discriminatory voting practices may have contributed to the inactivity that was at the heart of the controversy in this case. During today’s oral argument, counsel for the Ohio Secretary of State, the Solicitor General of the United States, and counsel for the A. Philip Randolph Institute delivered remarks on behalf of their clients. The attorney for the Secretary of State attempted to justify the Supplemental Process by associating the use of the Supplemental Process with the possibility of identifying voters who moved. Throughout the argument, this premise proved to be tenuous at best. Of note, while questioning the lawyer for the Ohio Secretary of State, Justice Sonia Sotomayor discussed the ostensible disproportionate impact of this purging process on minority voters. She pointed to Ohio’s elimination of Golden Week — a voter registration drive that benefited a number of Black and Brown people in the state as one reason that a voter may choose to not vote. She also expressed the negative impact of long hours and extensive lines on voter participation for people of color. She subsequently noted that there is a strong argument for discriminatory impact in this case. The solicitor general offered the government’s perspective in the case, and Justice Sotomayor conveyed another concern. Since the passage of the NVRA in the early 1990s, Democratic and Republican presidential administrations have maintained a consistent position on the statutory interpretation of these statutes. However, under the leadership of this current administration, the Justice Department shifted its position on the matter. Justice Sotomayor noted how unusual it was for the Office of the Solicitor General to change its perspective so drastically. Several minutes later, Justice Ruth Bader Ginsburg chimed in and reaffirmed that the prior position of the United States was that non-voting is not necessarily a reliable indicator that a person moved. During his argument, the lawyer for A. Philip Randolph Institute emphasized that the Ohio Supplemental Process relies on six years of non-voting and leads to the vast over-purging of voters. 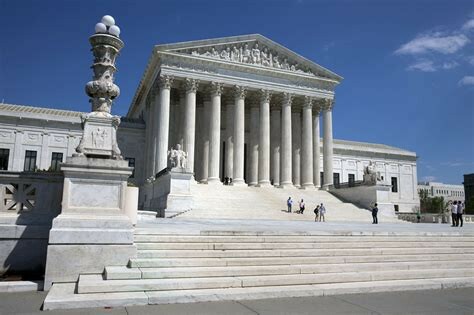 Following a line of questioning from Justice Stephen Breyer, he noted that 70 percent of people who received the confirmation notice from the state of Ohio did not respond to it; moreover, he stressed that this did not mean that they necessarily moved. As counsel for the Ohio Secretary of State delivered his rebuttal, a concluding troubling point emerged purged voters receive no notice once they are officially removed from the rolls. Following this action-packed oral argument, my colleagues at Advancement Project and I anxiously await the Court’s decision in the case in a few months. Andrew Hairston is staff attorney for Advancement Project and helped write the amicus brief associated with Husted v. APRI. Next generation national civil rights organization. Inspiring & supporting national & local movements toward a #justdemocracy.